Flaunt your diamond style! Among the wonderful traits diamonds possess in the video game Minecraft, keeping you warm will never be one of them. 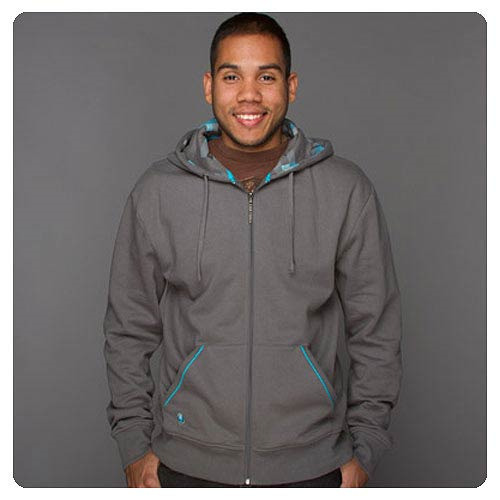 So, to keep your diamond style going even in the coldest weather, prepare your chest-armor slot for the Minecraft Diamond Premium Gray Zip-Up Hoodie! Available in sizes XS, S, M, L, XL, XXL, XXXL, and XXXXL, it features a slim-fit body. Chest Size Fits To 34" 37" 40" 43" 46" 49" 52" 55"
Waist Size Fits To 30" 32" 34" 36" 38" 40" 42" 44"
Sleeve 32" 33" 34" 35" 36" 37" 38" 39"